I discovered many interesting issues in my research into the illegal wildlife trade and will just mention three here. The German and British colonial governments in east Africa established the first game parks and game laws on the continent. These became models for conservation practices in other Africa nations. However, it affected rural Africans who had previously hunted and farmed on these lands for centuries that were now off limits. This resulted in both resentment and calls for land reform. When the colonial period ended in the decades after WW II, the new African governments in some nations promised to change the laws and restore citizens’ access to these lands. However, many failed to live up to this promise realizing that the game parks provided the government with revenue and the jobs in game departments would serve as a source of patronage. This has led to continued resentment among some rural Africans who view the parks as playgrounds for the wealthy with few benefits for locals. Another interesting finding was how globalization in the last couple of decades inadvertently led to the expansion of wildlife trafficking. Transnational organized crime, which plays a major role in the illegal wildlife trade, quickly exploited relaxed border controls, express shipping services, international investment, electronic money transfer services and the use of the Internet to move and market wildlife. The same developments that would foster economic expansion in Africa were used by criminal enterprises to move more wildlife from source nations to consumer countries. A very common issue I heard during my fieldwork was the problem of corruption in Africa. This problem permeated all levels of government from local police and park rangers to border control officials to high-level ministers. Accounts of rangers poaching wildlife or assisting poachers were commonplace. I found many instances of African police departments accused of providing firearms to poachers in exchange for money. Asian diplomats were apprehended at airports with rhinoceros horns and ivory in their possession many times. Corruption plays a major role in facilitating the illegal trade in wildlife. I am often asked how I became involved in this work. I have long had an interest in wildlife and wildlife conservation. When I began my academic career as a university professor, I was researching drug trafficking and criminal victimization. 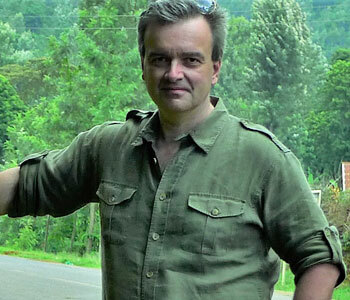 I wanted to expand my area of expertise and began to examine the issue of poaching and trafficking of wildlife. I quickly found that there was very little criminological research in this subject. I had contacts in South Africa at a university who were also excited about exploring this problem. I received funding from a grant and began the first of a dozen overseas field research trips over about 12 years. We started with a project in South Africa and Namibia and more recently finished a project in Kenya. 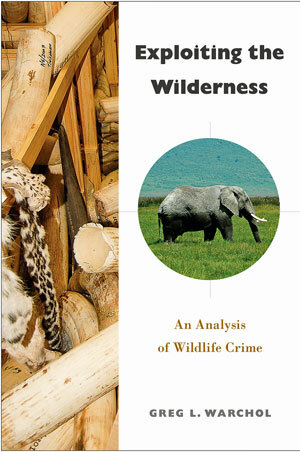 My work was among the very first studies of the illegal trade in wildlife done through the lens of criminology. I presented this work at many conferences and had numerous journal articles published when I was approached by Temple University Press about authoring a book about the subject. I ended up building a significant amount of expertise in this area.